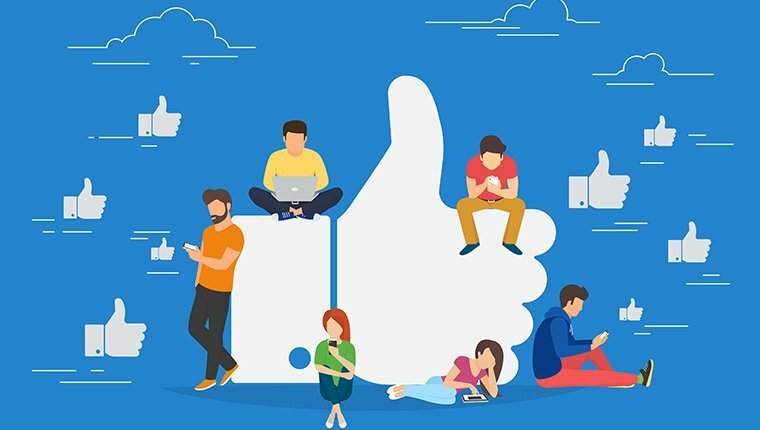 This social media ranking was last updated on 21/11/2018. Taking the top spot in our mental health ranking is The Mental Elf. 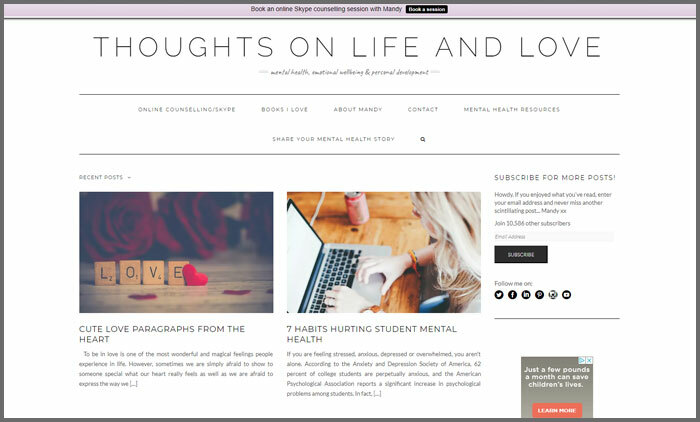 Founded by André Tomlin back in 2011, the blog was originally created to share André’s experience and knowledge from years of working in mental health, and before long he had a group of colleagues contributing to the blog. 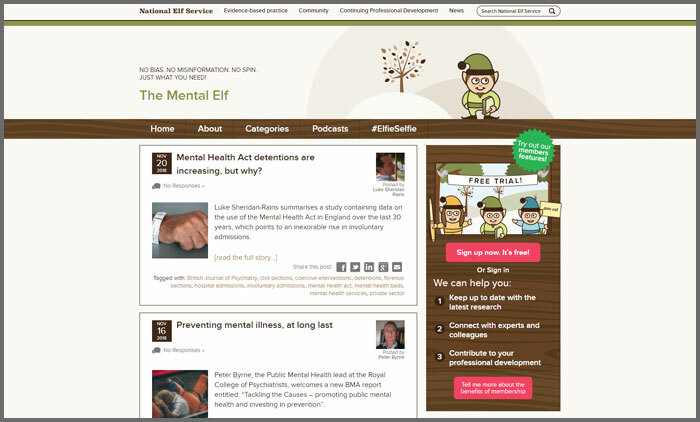 The Mental Elf helps readers stay up-to-date with the latest research and guidance in mental health, covering everything from reports on preventing mental illness to a new approach to cognitive behavioural therapy. The diversity of writers who create content for The Mental Elf are reflected in the posts that discuss issues from around the globe. Sarah Bailey started Life in a Break Down when she decided to focus on the positive things in her life and not the negative aspects of her illness. Providing an honest account of what it’s like living with mental illness, Sarah also invites other bloggers to share their experiences on her blog including what it’s like having depression as a carer and how to look after your mental well-being when moving and living abroad. Life in a Break Down covers a range of topics that can impact your mental health including health tips and advice and budgeting ideas. 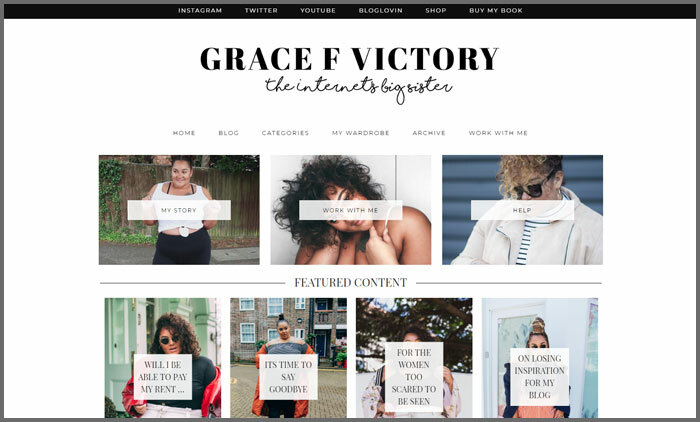 Grace F Victory is the self-titled blog of award-winning vlogger and presenter Grace Francesca who has become an internet sensation over the past four years, creating a dedicated following thanks to her unique style and ‘girl power’ attitude. 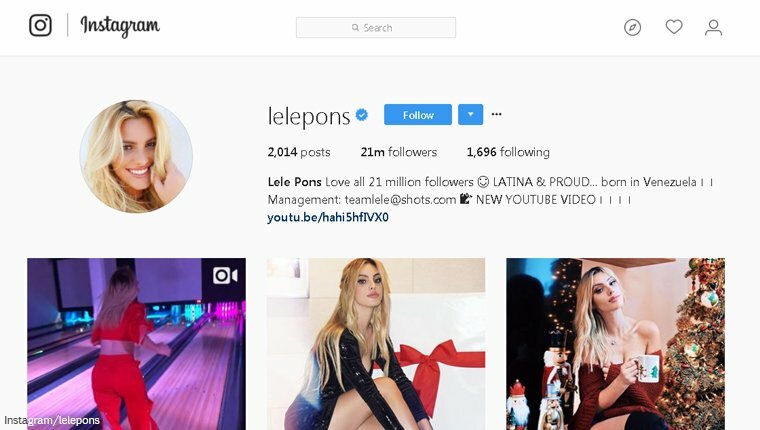 With her debut book published in 2017, Grace is in high demand, working with brands including Rimmel, ASOS and River Island and becoming an official ambassador for FeelUnique. Focusing on self-care and body positivity, Grace F Victory is brimming with honest and witty posts about finding your own style and managing your mental health. 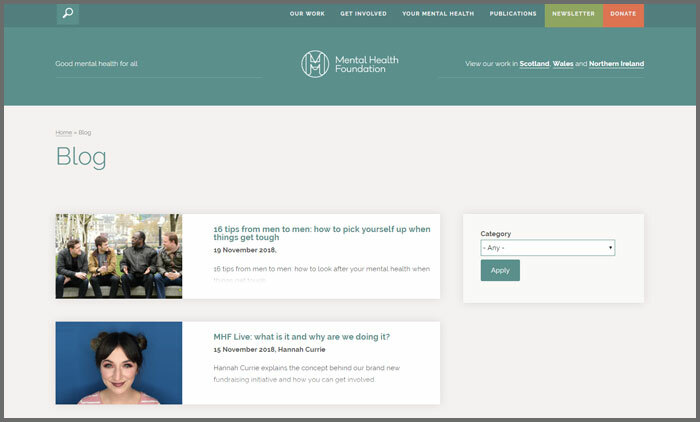 The Mental Health Foundation Blog is the official blog of The Mental Health Foundation, a UK charity that aims to improve everyone’s mental health. Regular posts come from a number of different contributors, from people across the charity or others who work in mental health and are passionate about helping people practise self-care and mindfulness. 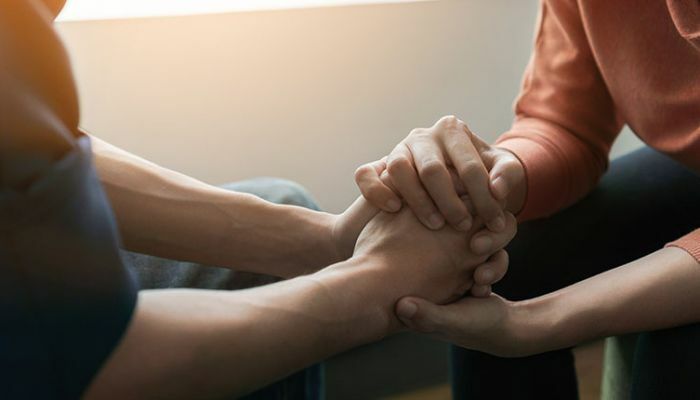 The Mental Health Foundation Blog provides helpful advice and insight into mental health, covering bigger issues such as the link between poverty and mental well-being and how to improve mental health in schools. 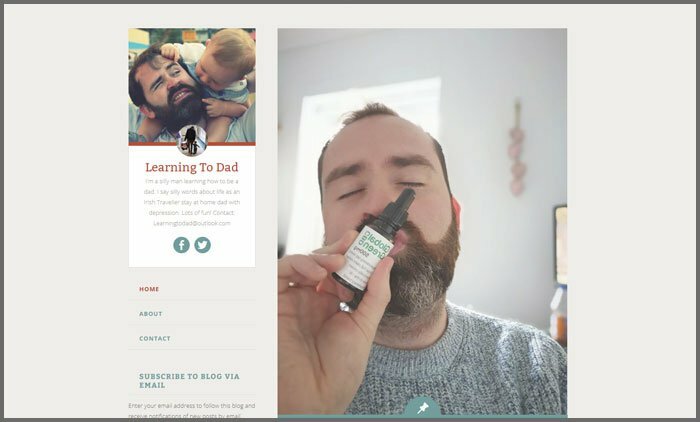 Martin Gallagher is the man behind Learning to Dad, he originally started the blog to share his journey of becoming a dad but over the years the focus has turned to talking honestly about his depression. 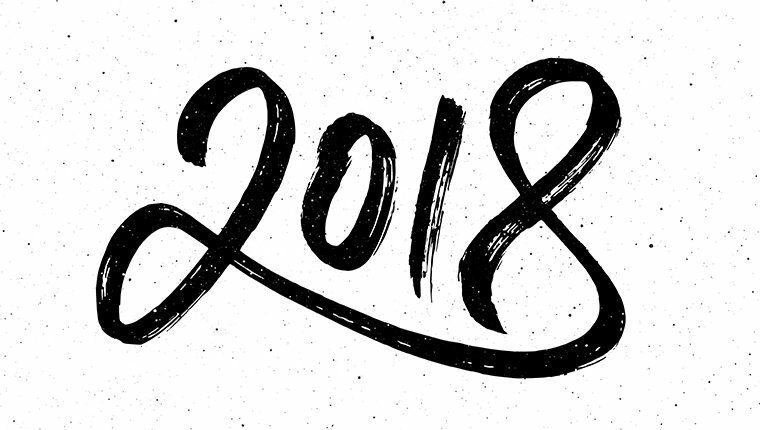 Learning to Dad posts about a number of issues, from the end of the alpha male to how his upbringing influenced his mental health. Martin still posts about his family, sharing stories as his kids grow up, with Learning to Dad providing an open and often humorous account of what it’s like to be a father living with mental illness. 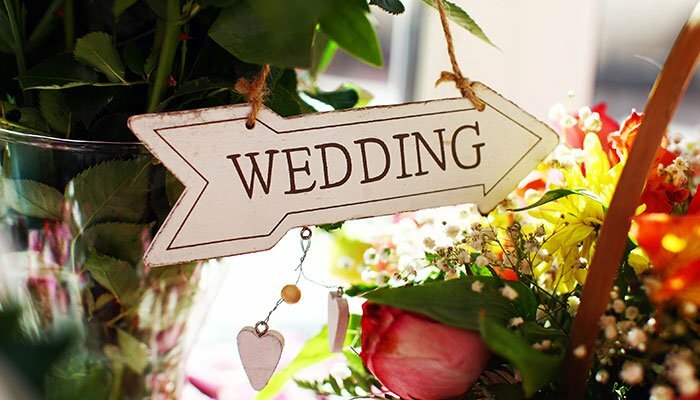 The Looneychick Blog was created by Vicky Williams as a way to share her thoughts and frustrations on mental health and the struggles she faces living with an undiagnosed mental illness. Vicky is incredibly honest when it comes to posting about her life, from a detailed account of her latest mental health visit to sharing when she’s having a hard time, helping readers of her blog feel less alone. 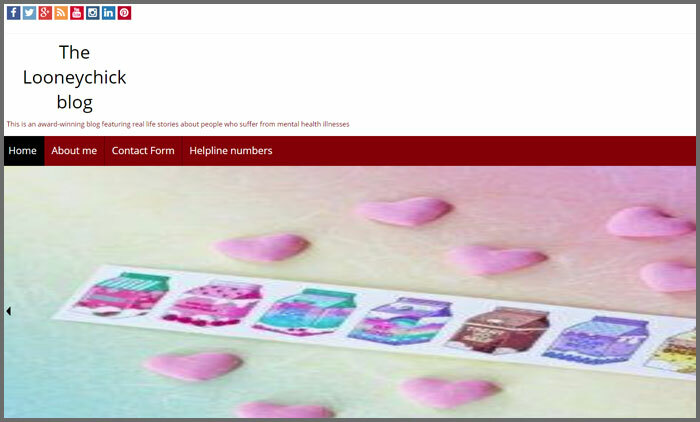 The Looneychick Blog doesn’t shy away from talking about the tough times and has a helpline section providing useful numbers and websites for any readers who might be struggling. Mandy Kloppers started Thoughts on Life and Love to share the lessons she learned growing up with anxiety and depression and living with the chronic illness, cystic fibrosis. 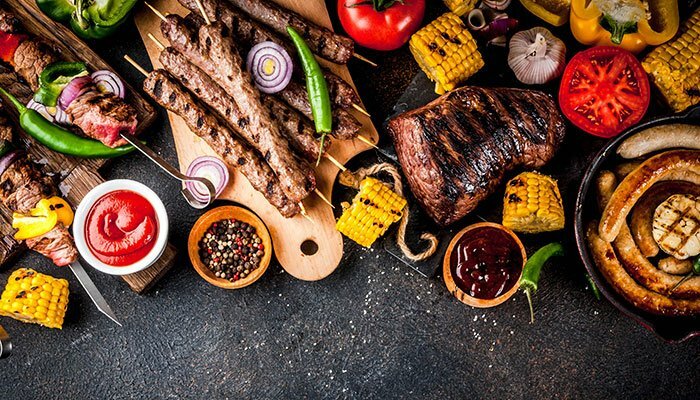 Mandy is a certified counsellor and mental health practitioner, providing expert advice and insight on Thoughts on Life and Love, from how food affects your mental health to tips for stress-proofing your life. 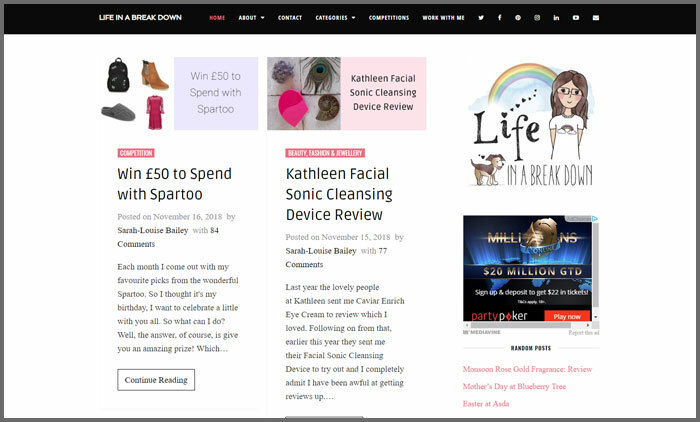 Mandy’s advice has featured in a number of well-known publications including Glamour, the Metro and Women’s Health. Be Ur Own Light was founded by Eleanor Segall in March 2016 as a way to raise awareness with family and friends about living with bipolar disorder. On a mission to combat the stigma around mental illness, Eleanor shares her story, showing how a mental health condition doesn’t stop you leading a happy and fulfilling life. 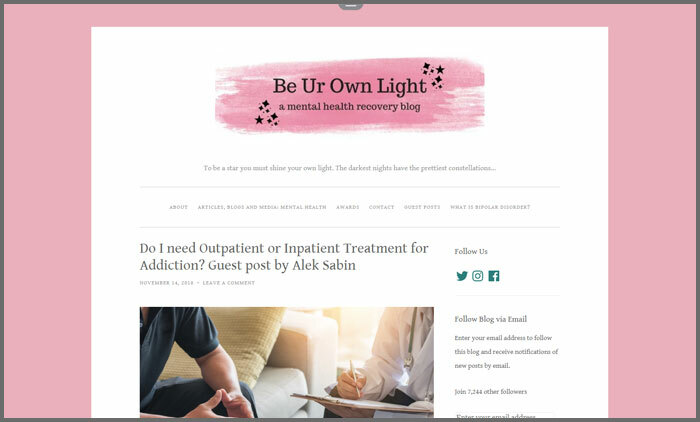 Be Ur Own Light features guest posts from other bloggers in the mental health community, telling a variety of stories, from recovering from addiction to looking after young people’s well-being during exam time. Julie created Mummy It’s Ok to share her journey of dealing with postpartum depression after giving birth to her first child. 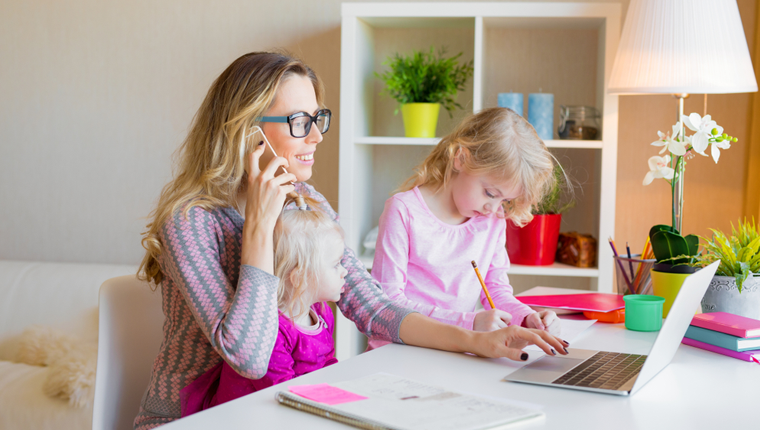 Since then, the blog has grown to provide advice and tips for working mums and how to work self-care into a busy life as a parent, along with personal and moving accounts of life with postpartum depression. 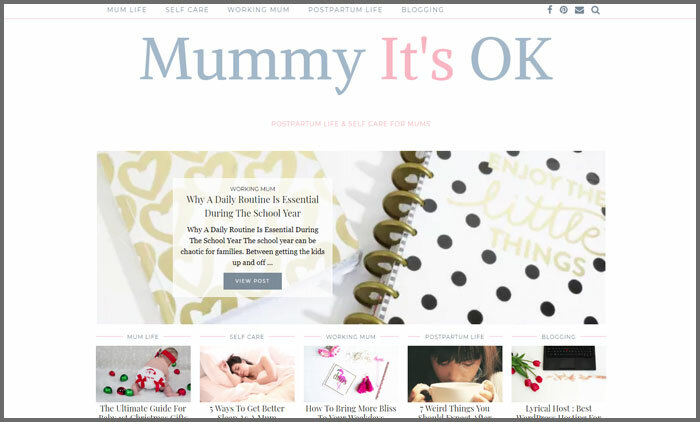 Mummy It’s Ok also has great ideas on how you can look after the mental well-being of both parent and child, whether it’s activities to keep kids productive after school or how to get more sleep as a new mum. 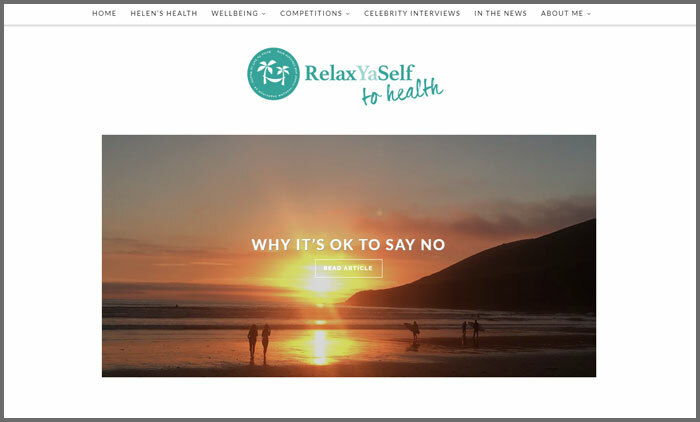 Relax Ya Self to Health is the creation of Helen Gilbert, a freelance journalist and wellness enthusiast who wanted to create a place that celebrated all things health and well-being related. Sharing her own personal health story, Helen also celebrates the positive stories to come out of the world of mental health and well-being, such as the barber who’s using his barbershop to help prevent male suicide and the woman using her MS to help save the planet. Relax Ya Self to Health focuses on the positives in life, using humour to see the light in potentially dark situations. 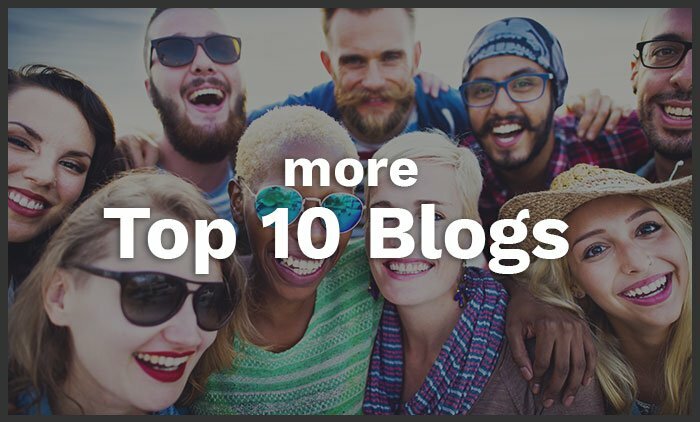 Discover more Top Blogs: top 10 vlogs, beauty, healthcare and lifestyle to name just a few. Vuelio’s blog ranking methodology takes into consideration social sharing, topic-related content and post frequency. 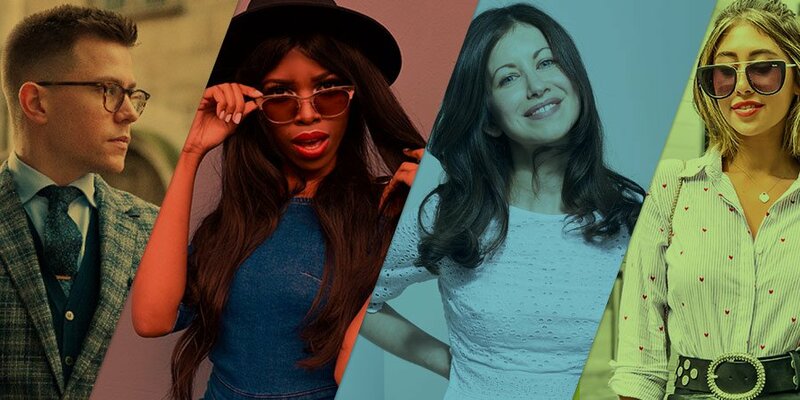 Profiles of these mental health blogs and their authors can be found in the Vuelio Media Database.